2017 is a big year for Canada. Parties, events, and activities are being held across the nation in honour of Canada’s 150th anniversary of confederation. We here at Frontiers North are also celebrating a lesser-known anniversary – the 300th anniversary of the construction of the Prince of Wales Fort. It all started with a hat. As strange as it may be the construction of the Prince of Wales Fort at the mouth of the Churchill River was because of fashion. In the seventeenth century everyone wanted a beaver fur hat. Or more specifically, a hat made of felt from the undercoat of the beaver’s pelt. So there on the shores of Hudson Bay in 1717 near a piece of land knows as Eskimo Point the Hudson’s Bay Company began constructing the original wood version of the Prince of Wales Fort. It would serve as one of the many fur trading posts the Company would construct at the mouth of rivers all along the Hudson Bay. By the late 1720s the tension between England and France over the control of the fur trade began to build and the Hudson’s Bay Company instructed that the wood fort be fortified with stone. Tradesmen and labourers from England were sent to Churchill in 1731 and the first stone was laid for the foundation of the Fort on June 3, 1732. Originally predicted to take only six years to build, the Prince of Wales Fort was never fully completed even after 40 years of steady construction. Built in the popular European ‘star’ shape with four protruding bastions, the outer walls were built 6.5 meters (21 feet) high and 11 meters (36 feet) thick. The Fort was built with 42 cannons and the battery across the river called Cape Merry was meant to hold six more. This massive fort took so long to build due to the small construction crew and sheer amount of spent just trying to survive in cold northern Manitoba on the edge of the Hudson Bay. For example, chopping wood took up much of the crew’s working hours, as it took four carts of wood a day in winter to warm the living quarters. In 1741, one post governor reported the Fort's living quarters as "... very cold, freezing everything in the cabin, though a fire kept in from five in the morning till nine at night; and when the fire is out, a red hot shot, twenty-four pounds weight (a cannon ball) hung up at the window to thaw it; on the outside there are shutters to every window, six inches thick; four large fires made in the stoves every day - a cartload of wood for each; yet all this will not keep things from freezing within doors." Overall the conditions at the fort were bleak. The unbearable cold in the winter and smoky sleeping quarters, bugs in the summer, and hard labour year-round made progress slow. Yet the Hudson’s Bay Company men renewed their contracts year after year, because it offered a chance of promotion, decent pay and fairly good meals compared to the uncertain lifestyle that waited for them back in Europe. Men continued building the fort, almost without a break, until 1771 and it still was left unfinished. Tensions continued to rise between the English and French throughout the construction of the Fort. The French government launched a "Hudson Bay Expedition" in the 1780s to damage the Hudson Bay Company activities. Jean-Francois de La Perouse led the expedition with three warships that captured the Prince of Wales Fort in 1782. The Hudson’s Bay Company was at a disadvantage during the French attack as only 38 non-military men were operating the fort. The fort's Governor, Samuel Hearne, recognized this and surrendered without a single shot being fired. After Hearne and La Perouse came to a mutual agreement that allowed the Fort’s men to return to Britain unharmed, the French partially destroyed the fort. Eventually the fort was returned to the Hudson's Bay Company, but due to a decline in fur trading it never regained its importance. The fort sat in rubble until 1920s when it was named a National Historic Site of Canada. 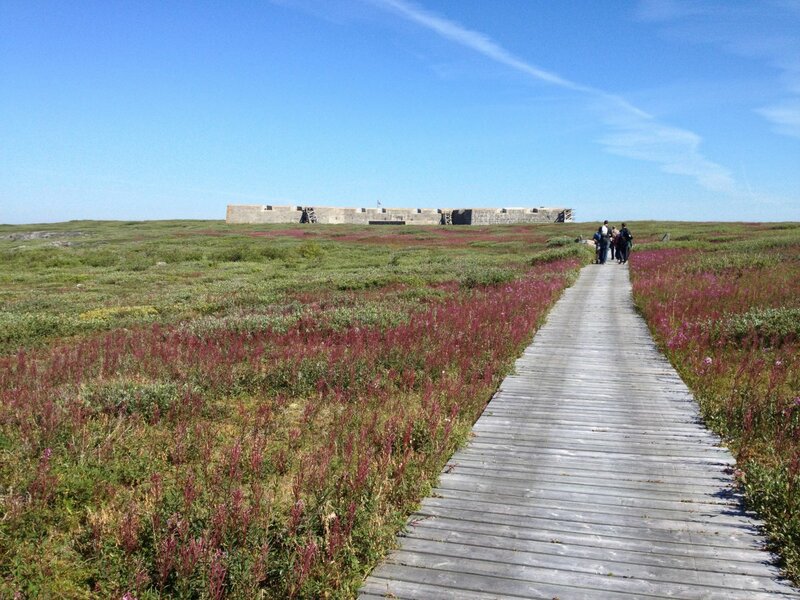 Parks Canada’s restoration of the fort began once the Hudson Bay railway was completed in 1929 and construction equipment and a larger workforce became available. 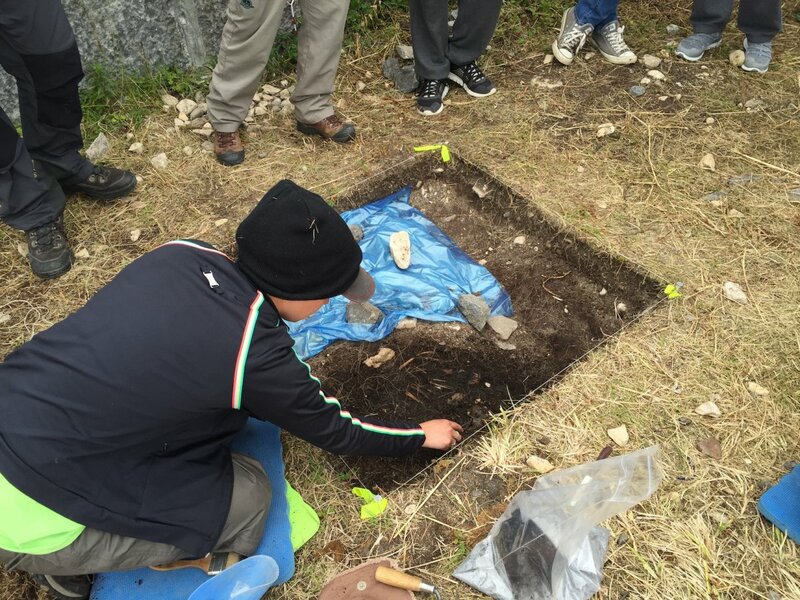 Restoration continued in the 1950s and archaeological investigations at and around the fort begin in 1958. Currently Parks Canada archaeologists work in and around the fort on large-scale wall stabilization work and fort interpretation for visitors. Established by the Hudson Bay Company as a fur-trading post before it's construction in 1717. The only historic stone fort in Canada where you can enjoy a five-course meal under the northern lights at RAW:churchill (original post 2016, new remote culinary experience for 2019). 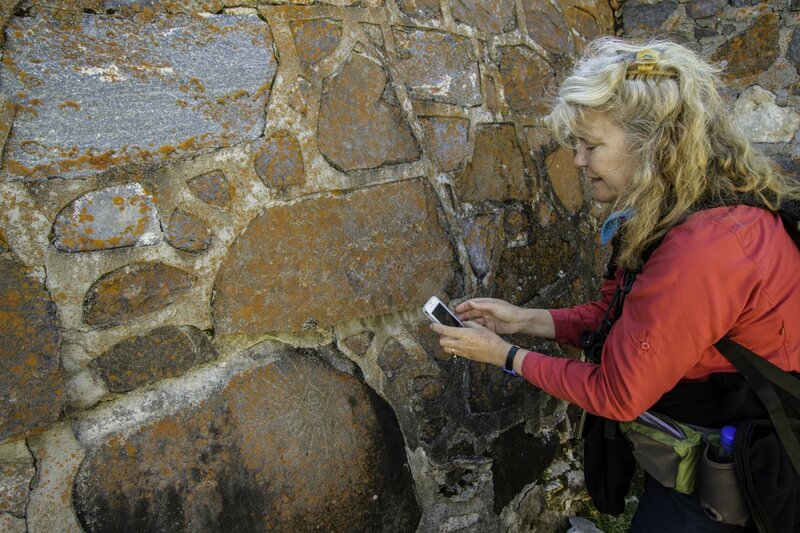 A traveller takes a photo of the oldest Mason symbol in Manitoba while visiting Prince of Wales Fort. 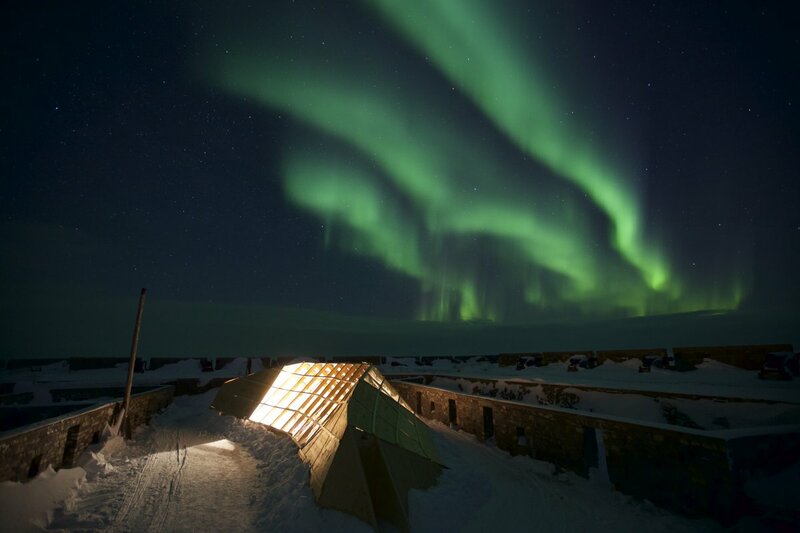 Northern lights above RAW:churchill restaurant inside Price of Wales Fort in 2016. Visitors walking to the fort during the summer.